There are 4 proof status levels. When a new proof is uploaded its placed into the Needs Review Status. When your reviewer has finished providing feedback and is ready to submit their review, they can either mark the proof as "Needs Changes" or "Approved"
If they need any changes on the current proof they can mark it as "Needs Changes". Read more about when a design moves into the Needs Changes bucket here. If they are happy with the proof they can "Approve" it. 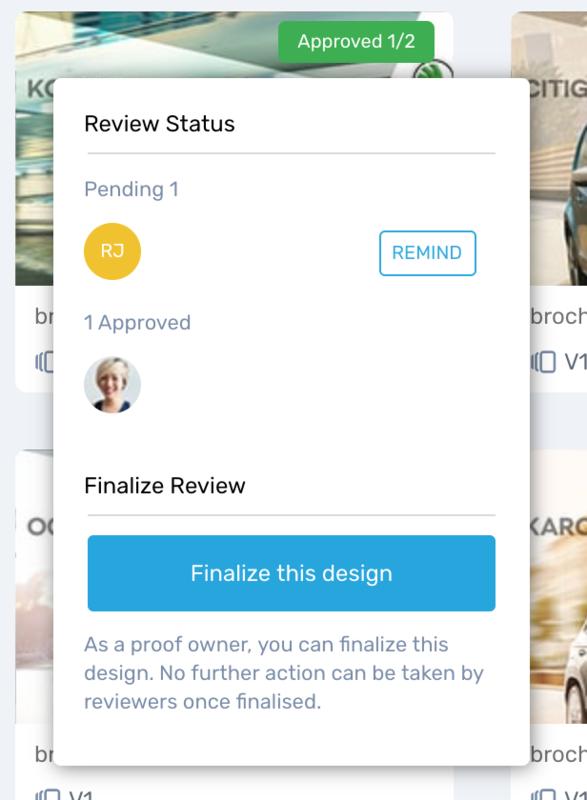 As a proof owner or team member you can finalise a design, this is useful when you don't need all reviewers to approve. Once a design is Finalized no further action can be taken by reviewers.